Mike Gleason: This is Mike Gleason with Money Metals Exchange. We are fortunate today to be joined by Frank Holmes, CEO and Chief Investment Officer at U.S. Global Investors. In 2006 Mr. Holmes was named Mining Fund Manager Of The Year by the Mining Journal. 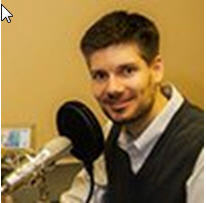 He is the co-author of the book, The Goldwatcher Demystifying Gold Investing, and is a regular guest on CNBC, Bloomberg, Fox Business among others, and also the Money Metals Podcast. Frank, it's always good to have you back on. Thanks for joining us again. Frank Holmes: It's good to be on with you all. "More meaningful to price movements however are negative real interest rates. Whenever inflation picks up, making short term government bond yields drop below 0%, savvy investors turn to so-called “haven” assets, gold among them. This is what I call the fear trade. In September 2011, when gold hit $1,900, the real Fed Funds rate was sitting close to negative 4%." So with that said Frank are we currently seeing negative real interest rates? If so, will we see them go as negative as we saw 5 years ago, which drove gold to that all time high? Is that maybe in the cards here moving forward? Frank Holmes: That's a good question. It has to do with global trade and global growth. But we go back to September of 2011 when gold hit $1,900, they did have this negative rate but what fooled everybody was that we've always looked at nominal rates, what is the bank prime rate and what are they charging and what is the Fed Funds rate? Well during that period until just recently the Fed Funds was 0, and most of the world was 0. Before it was so easy when rates went from 8% down to 5%, or from 5% to 8%, you could see what the nominal rate was moving, and you get an idea of that trend. When it's 0, you have to look at real rates and what happened is that from $1,900 an ounce of gold down to $1,100, rates went positive in the U.S. by 200 basis points. And anytime you've gone from minus 3%, 4% range up to plus 2%, you have a very strong dollar. I think that that's rolled over now. Last year gold started off great, it fizzled because the rates were positive 200 basis points. They're not negative. Now will they go minus 300 base points or 400 base points? That's what you would need to see gold trade up to that level. But there's some other interesting parts taking places, evidence is that this is a new up-cycle that's begun is when you look at previous cycles and you say, "What is both the breadth and the depth? And how long do they last?" When we do that sort of analysis and we say, "Where could gold go over the next 3 to 4 years?" It could easily trade back to $1,900. That would be normal for these types of corrections. When we look at the amplitude, the breadth and the duration of the current rally, the gold prices held in after the normal seasonal high, February, March. Unlike the past two head-fake rallies, ‘14 and ‘15, all equity tiers, even the lowly explorers have almost doubled in this past quarter. And then the amplitude of past down-cycles, when you take a look at what the average down-cycle has been, it's been around 44%. And these past down-cycles have gone from minus 35% to 65% but average 44 and this one actually hit $1,050, that was the low for gold, and that was a 45% decline, and now we've come off of that. Down-cycles for gold prices have a range from 1.8 to 5 years, averaging 3.6 years from peak to trough. And so we look at the peak in 2011 and the bottom being December the 17, 2015, it's 4.3 years long. So there's so many nice factors in here that say suggest that we're getting a rising market. And gold has a role to play, initially as a safe haven and as an alternative currency, given high economic uncertainty and gold will act as it has in past cycles, that is an inflation hedge. We're seeing what's happening is that these G20 meetings has nothing to do with global growth, it's all about synchronized taxation and regulation. And I was reading on Yahoo Finance, there was an article that we've gone in America from 7.5 billion hours of paperwork we have to fill out for government forms, to now 10.5 billion hours Americans spend wasting time filling out these government forms. So a lot of this stimulation is necessary for sustaining growth is called fiscal policy and that's streamlining regulations, streamlining the paperwork, and taxation, and we've had the absolute opposite. So then we have the monetarists come in and they have to print lots of money, so they print lots of money and still we don't get a turn in the economy, so now that they go negative interest. So I think you're seeing this globally, and until there's a change in fiscal policies globally to streamline the taxation and regulation and lower them, we're going to live with negative interest rates and gold is a great place to park your money. Mike Gleason: Certainly one thing that's confirming the breakout has been the miners. They've done exceptionally well so far this year with the GDX and the HUI up as much as 100%. However, they still haven't taken out some of the key technical levels to the upside despite that, because they started off from such a low, low point. So do you think we'll see the miners continue the momentum in the short run and really soar even further, or could we be due for a pullback here? What is your take on the precious metals mining sector generally? Frank Holmes: I think that there's a separation, those companies were fast to cut their debt levels. And one of the biggest thing you look at corporate actions, like Barrick has had a big surge for generalists. The big gold moves are never just the gold fund managers. The big moves, both up and down, is when the generalist who has a $30 billion fund says, "You know what? I've got to have 5% into gold. That means I'm going to put $2.5 billion, $3 billion dollars into gold.” So they end up buying gold stocks and bullion, and every billion dollars it goes into, the GDX moves gold up $30. So you're starting to that with negative interest rates, money going into the GDL, and then with that comes a more savvy person, "I need some gold stocks." And they start buying the big cap ones, the Newmonts and the Barricks. And during this process of them buying them Barrick has been deleveraging their balance sheet. So in our Quant analysis any time a company starts deleveraging their balance sheet those stocks outperform, particularly in a rising scenario. Glencore is another one, it deleverages balance sheets. Franco-Nevada raises money, it buys a royalty that helps Glencore and Glencore even was up higher than Franco-Nevada. Mike Gleason: You've been covering the newly formed Shanghai Gold and Silver Exchange on your Frank Talk blog, and that is certainly a development worth watching. Now future markets in the west report declining inventories and growing open interest. There is less and less registered physical metal backing each contract. The COMEX coverage ratio of open interest relative to registered stock recently surpassed 500 ounce of paper gold for each ounce of physical metal, leverage, like that is totally unprecedented. Now according to our own contacts in the industry and from other reports, large amounts of physical bullion have been heading east, inventory of gold and silver bars in the Shanghai Exchange is growing rapidly. Do you anticipate trading will migrate to Shanghai? Because it seems to us that traders ought to be more comfortable with an exchange whose foundation is physical delivery, like theirs. So could Shanghai's role improve price discovery and possibly help push prices higher? Basically what are your thoughts on the potential impact of the Shanghai Exchange going forward here? Frank Holmes: Well I think that's very, very strategic for China and the opportunity of going after everyone, all the gold traders, all the LIBOR traders, and basically saying they're next to drug lords, the way they've gone after that, this price fixing. That has basically allowed them to move the gold price fixing, the prices over to Shanghai. What's significant about that and how they did it was they created tax free zones for financial companies. And they've gone from being the price taker to the price maker. That is very important. And why is that important? Because they want to be on the global theatrical stage. They want to be on Broadway in the currency markets. They want their currency to be as prominent as the euro, as the yen and as the dollar for global trade. The only way to do that is to qualify to become part of the IMF and they've been able to get that put through. But one of the interesting parts of that is called Special Drawing Rights, when you go and borrow the only thing they'll take for collateral is gold. So the Chinese have been on a very aggressive program of buying gold every month and to increasing that exposure. Now they're going to continue to have to become the currency on the global stage, they're going to have to buy more gold, and we're seeing that in motion. Mike Gleason: Furthering the point here a bit, the Chinese recently instituted a fixed price for gold denominated in yuan, speaking of the currencies. It's an alternative to the London Fix, which is set in U.S. dollars. Talk to our listeners about the significance of that. Frank Holmes: Yes, all these parts are important because it's basically saying that they want to own gold to diversify their risks. And what's interesting is when I go to Wall Street and I hear this always anti gold rhetoric. And I find it interesting that the Federal Reserve, it doesn't keep other countries' currencies, they don't trust other countries' currencies. They trust gold. So why not investors have a portion of their portfolio in gold? It's just prudent, logical and rational and that's why we've always advocated having 10% waiting into gold minimum… 5% into bullion or beautiful gold coins, 5% into quality gold stocks. Then re-balance each year, because there will be years when gold will underperform the stock market and then other years when it will outperform dramatically. Mike Gleason: Yeah that re-balancing I think is just so key. A lot of people just set if and forget it and don't even look at that, but obviously the way stocks have performed over the last few years and how the bullion itself has performed, people probably need to look at that rebalancing and make some adjustments. Frank Holmes: It's a good point you make. I think the big growth in robo-allocators, I mentioned I was at an event 3 weeks ago in New York and a young guy's gone from 4 employees to 50, and he's basically selling his robo for basis points. He has $134 billion. And part of that whole robo-allocation is rebalancing. So not only do I give you diversified asset classes… maybe 5% in gold or 10%, and then bonds to equity ratios for your age and your risk tolerance, but the key to that is not only that asset mix, it is that rebalancing is the key to robo-allocators outperforming. So I think you're going to see more at the quarter end, rotations that will come out of this growth in robo-allocation. Mike Gleason: The overall tone right now in all the markets does seem to be inflationary, or even stag-flationary. We've seen stocks do very well since the beginning of March, oil is riling again and leading the way higher for many other commodities. Now in terms of the precious metals, when we see an inflationary bias that usually favors the white metals, especially silver. The gold to silver ratio is something we talk an awful lot about here, has gone from 83 to 1 back in February to about 72 to 1 as we're talking here on April 27th. A pretty significant move to the downside in a very short period of time. So do you see this inflation-oriented trade continuing? And do you see more outperformance on the horizon for silver? Frank Holmes: I think the key part for silver is the growth in healthcare, in addition to being the poor man's gold. I think that that's an important factor to consider. If we're really having this runaway inflation concern et cetera, we would have platinum palladium taking off, and platinum's still cheaper than gold. Mike Gleason: Now in the past, although maybe not quite so much over the last few years, but oftentimes we do see some seasonality in the metals where we get a strong period early in the year, usually up to April or through April but then we see a pretty big pullback in May, June and July. 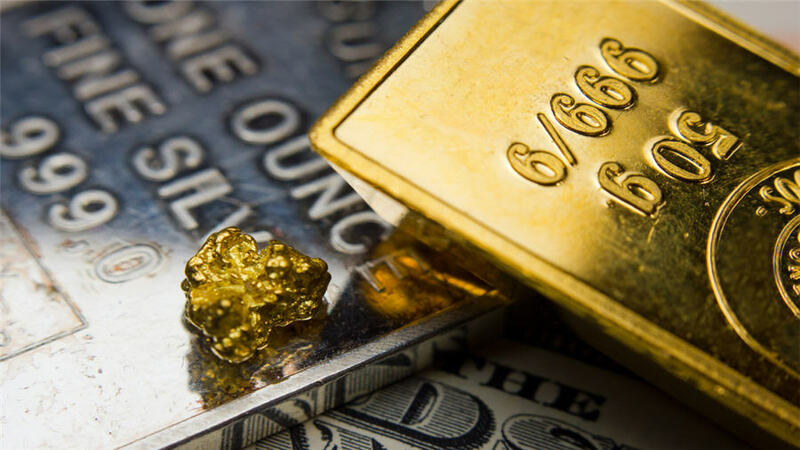 Do you envision a resumption of that typical seasonality in the bullion and in the miners this year, or is the positive momentum we've seen likely to continue into the summer? Frank Holmes: It's all (what happens) with the real interest rates, what's going to happen with real interest rates. If we start seeing inflation pick up and bond yields don't pick up, then yes we'll see this move continue. Remember the move that takes place predominantly the bottom in the summer and the rally until Christmas or Chinese New Year, that's all religious holidays and seasons. So you start of at Ramadan and then we go to holidays in India, then we have wedding seasons and we have our Christmas, and then we have Chinese New Year. Each of those are usually where you get these big rallies from the lows of the summer, up to February, then you get this decline in these months now. But the difference from previous cycles is what's happening with real interest rates. So that's the love trade in the second half of the year. The first part is the fear trade. And you know what's magic? When the fear trade and the love trade are both strong. That's when gold goes (back) to $1,900. Mike Gleason: Well as we begin to wrap up here, Frank any closing thoughts, any ideas for what we're looking at the remainder of the year here in 2016? What are you looking for on the horizon? Frank Holmes: I think that when you come in and drill down more and look at these gold stocks and individual names, Franco-Nevada still stands out to me as one of the superstars, where they have $15 million of revenue per employee. If you believe in the silver play, you love silver, then Silver Wheaton is another great play. It still has to resolve its issues with the rev tax authorities in Canada, which I'm sure they'll figure out something to resolve it. But that is a company with 30 employees doing $600 million in cash flow, $20 million of revenue per employee, when a Goldman Sachs is like $1 million, $1.2 million. So very profitable, very attractive companies in that space. And when it comes to the junior mid-cap space, Klondex is one of our biggest holdings and when we look at relative valuations for takeouts for high-grade producers that stock at this price level is going to have a 50% take out. We like companies of that nature, like Klondex. Mike Gleason: Well you certainly have a fantastic track record, you’ve won a lot of awards in the industry, and that's one of the main reasons we love to have you on. It's always great insights, as usual Frank, and I love talking to you, thanks for spending the time with us again. Now before we let you go, as we always do, please tell our listeners a little more about your firm and your service, and then also how they can follow you on your fantastic Frank Talk blog. Frank Holmes: Thank you very much. Well go to USFunds.com and it's really simple, USFunds.com, and sign up for the Weekly Investor Alert written by the investment team that talks about the different sectors. You can sign up for Frank Talk Investor Alert and you can discover our gold funds. We have a much lower downside risk than any of the GDXJs, et cetera. That's well documented, our volatility is much less, and we've outperformed. I think that's another key factor. Mike Gleason: Well excellent stuff, once again thanks so much Frank. Hope you enjoy your weekend and look forward to catching up with you again before long. Frank Holmes: All right, thank you very much and happy investing. Mike Gleason: That will do it for this week. Thanks again to Frank Holmes, CEO of U.S. Global Investors. The site is USFunds.com, be sure to check out the previously mentioned Frank Talk blog, some of the best market commentary you'll find anywhere on gold, the miners, the commodities as a whole, and many other topics related to the investment world. Again you'll find all of that information at USFunds.com.